Throughout American history the Gadsden flag has been used a symbol of rebellion against governmental tyranny and for many today, the Gadsden flag stands as a powerful symbol against oppression, taxation and wasteful government spending. AmericanFlags.com supports peaceful protests and the ability of concerned citizens to speak out. As such, we offer top-quality Gadsden flags and Don't Tread on Me merchandise at the lowest possible prices. Support businesses that support you and that sell only American-made flags! 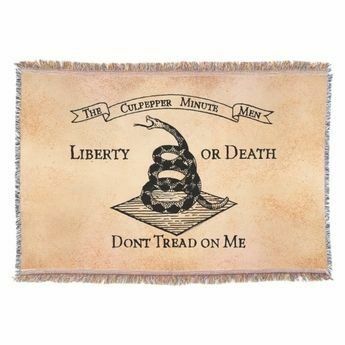 Gadsden Cap - Don't Tread on Me!